Holy week has started from April 9th, 2017. It is the week before the Easter week, and in this holy week only we will observe good Friday. In the Christianity, it is the just week before Easter, and in western countries, it is the last week of Lent. 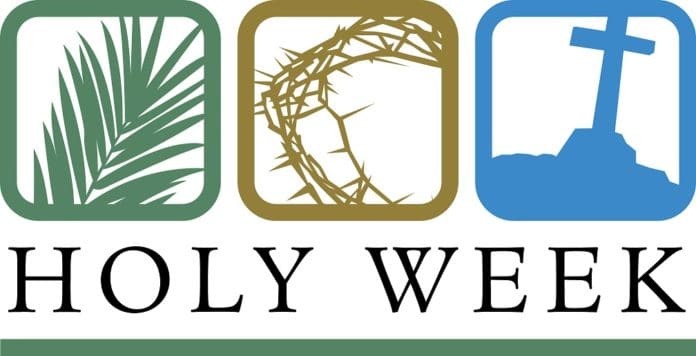 The days observed in this week are Palm Sunday, Holy Monday to Wednesday, Maundy Thursday, Good Friday and Holy Saturday. This holy week begins with Palm Sunday which may also be known as Passion Sunday. On this people believe that Jesus and his followers entered into the Jerusalem. Good Friday commemorated the crucifixion of Jesus and his subsequent death. It is the sorrowful day in the history. This holy week 2017 started from April 9th and ends on April 15th 2017. People will spend this holy week in the presence of Jesus. They will continue their prayers until Easter. Holy week significance is, this week remembers us the greatness of Jesus, and it will remind our duties to do.Holy week schedule 2017 starts on Sunday and ends on Saturday.